Live music, dance and theatre performances plus boat trips, a floating garden and food markets are among the attractions at the Shoreditch Festival which starts today and runs all week. 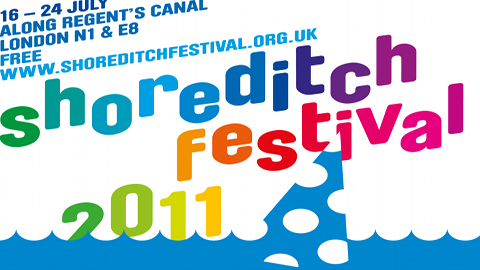 The free festival is now in its 10th year and is based around the Regent’s Canal area of Shoreditch. Despite the forecast for wind and rain today, many people were still expected to head down to the festival, which takes place along a stretch of the canal which runs from the De Beauvoir Town area on the Islington-Hackney border right through to Haggerston. We will be reporting and blogging from the scene today and at intervals during the rest of the weekend and next week. Our reporters are Ellie Baskett and Koos Coovee. Among the acts to watch on the main stage today are Red Baarat, a nine-piece bhangra and funk band from New York and headliners The Whip, an electro four-piece from Manchester. The floating stage features DJs with live accompaniment while the community stage showcases live performances including drumming and the Brazilian dance form, capoeira. Tomorrow, local youth bands take to the stage in the afternoon and topping the bill is the Soul Rebels Brass Band, a New Orleans jazz band who will be performing ahead of dates at the Edinburgh Jazz Festival and the Barbican. The rest of the week includes screenings at the Floating Cinema – a customised narrow boat, art exhibitions and the Shoreditch Bark Dog Show, which takes place next Saturday in Shoreditch Park and has awards for Hoxton’s Hottest Dog and Waggiest Tail. Next weekend marks one year until the London 2012 opening ceremony and, as part of a nationwide celebration, there is a guided walk to the Olympic Park as well as free sports coaching sessions in Haggerston Park. 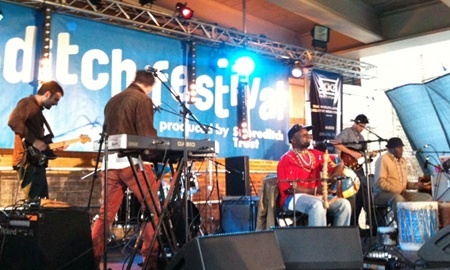 The Shoreditch Festival is organised by the Shoreditch Trust, a charitable regeneration organisation, which aims to produce long-term social, economic and environmental benefits for the local community. Full details and a map can be found here; our live blog runs below and new readers should begin at the bottom…. 18. 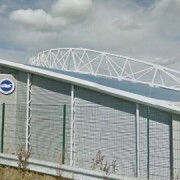 45: Koos texts: ”I decide to make my way home, whilst desperately trying to keep my jerk chicken and corn on the cob dry. It has been a typically British event, the weather has tried to dampen the spirits but thanks to the efforts of those working for community organisations, makeshift bars, bands and the many foodstalls have made it a great day for those braved the weather. Let’s not forget to mention the sound provided by the SAE Institute. More African music from Red Baraat promise to keep the vibes going on the main stage. I hope to be back for more tomorrow. 18.15: The rain is absolutely hammering down. 17.45: The rain has returned. A large crowd has gathered under the railroad bridge to watch Owiny Sigoma on the main stage, a Nairobi-London band that mixes traditional Kenyan Luo styles with contemporary western influences. The rain does not seem to dampen the mood in the slightest, and more and more youngsters are arriving at the festival. 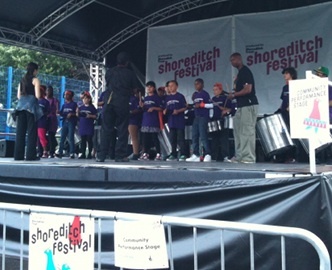 17.20: At the Community Performance Stage a show from Hackney Schools Bateria (left) is under way. Despite their youth they sound very tight and move from the stage along the canal towards Kingsland Road. 17.00: Hey, the sun is shining over Shoreditch again. Briefly. 16.30: A very young crowd is hanging out by the floating stage run by the SAE Institute, listening to a dubstep mix by DJ Frankie, a lecturer at the Institute, which provides degrees in audio, music production, music business and film. 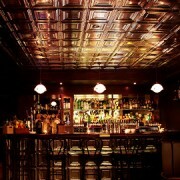 The rain is pouring down, but the vibes are good. 16.20: Koos bumps into a youthful group of aspiring journalists. Eugene Osei, 19, Muzzamic Hashmi , 17, and Obed Adeofo, 20, who are filming the event for A New Direction (http://www.anewdirection.org.uk), a company that provides young Londoners opportunities to pursue their aspirations in journalism, arts and culture. 15.45: The weather has taken a turn for the worse. It is now raining and very windy, but that has not stopped Simon Ryder from the charity Beauchamp Large from bringing out his real life chameleon to show to visitors to his science boat. It is an independent charity that offers science, environmental and history lessons to primary school pupils in Westminster. The boat operates as a classroom and has a small onboard zoo: as well as the chameleon, there is also a tarantula, a scorpion and a massive millipede. They are currently making a film about the history and ecology of the Regents Canal at Paddington and has also completed a project with local kids at Limehouse.